Perez, whose original name is Carlos, changed his name to Yaku, word for water in Quechua, because of his commitment to the defense of the water sources in the Andes. As the leader of the organization for indigenous people from the Sierra in Ecuador, he opposed and questioned policies of Rafael Correa´s administration (2006-2017) that open the doors to great foreign mining companies wanting to exploit gold, silver, and copper deposits from the mountains in the south of the country. 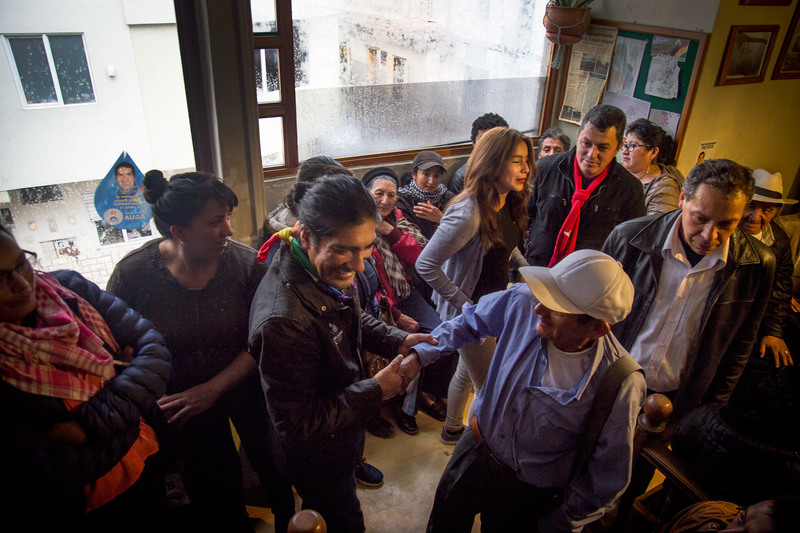 After being incarcerated and beaten by the police six times and unjustly prosecuted by the Rafael Correa administration, he was consolidated as a leader at the Azuay province, located 500 km to the south of Quito. Protests against the amendments on December 3rd, 2015. As president of Ecuarunari, a subsidiary of Conaie, Pérez led the mobilizations. He was attacked and arrested by the police of Rafael Correa goverment. 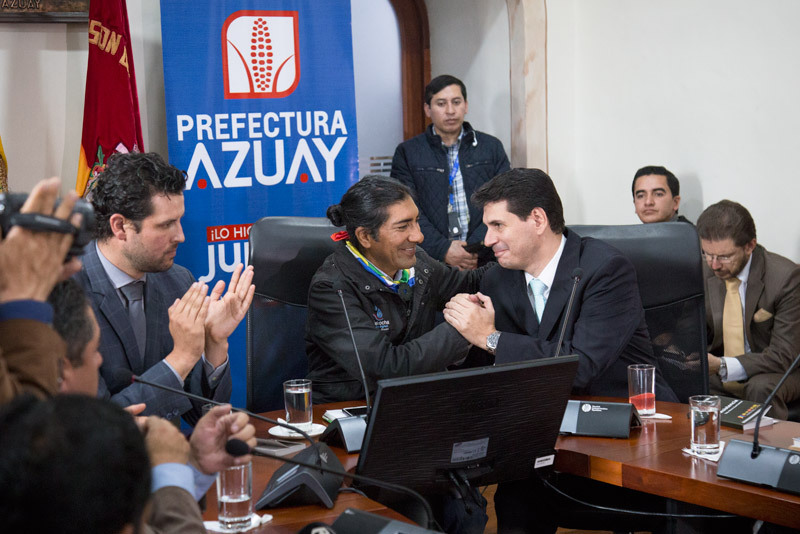 On the most recent regional elections, the province of Azuay elected Yaku by a large majority. He announced that in that capacity we will continue resisting mineral exploitation in the area. 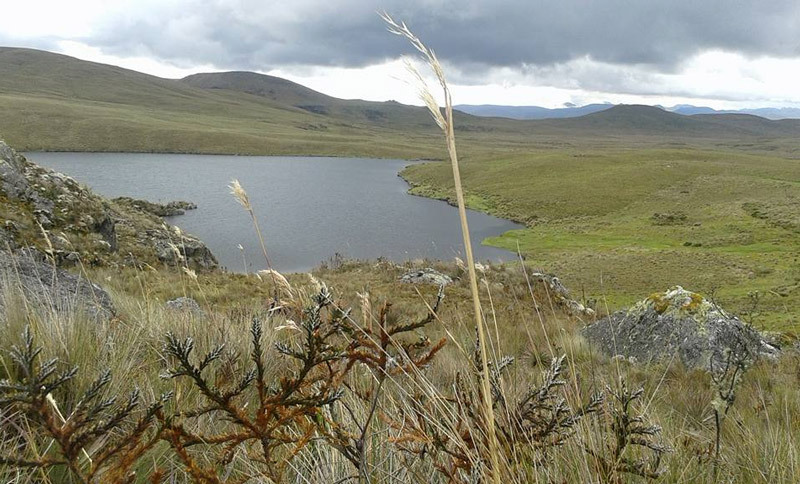 In the context of these elections, the town of Giron was consulted about allowing mineral exploitation in the Quimsacocha moorlands, they are under concession to a Canadian mining company. There were 15,000 voters, 86% of them said no. 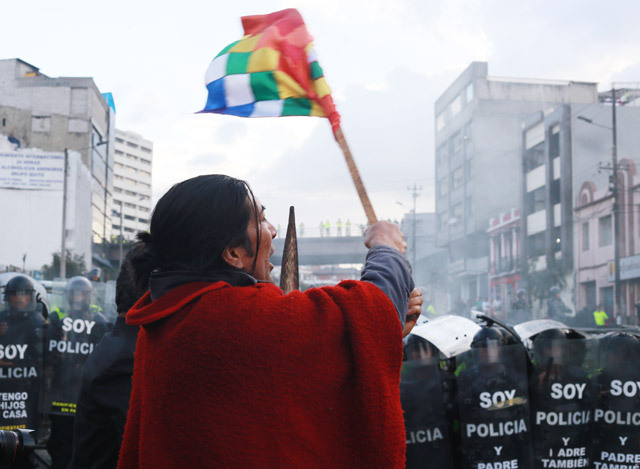 The conflict between mining companies and farming communities in Ecuador remains unresolved. Read the full story in Spanish about Yaku Pérez and his fight for water rights here.